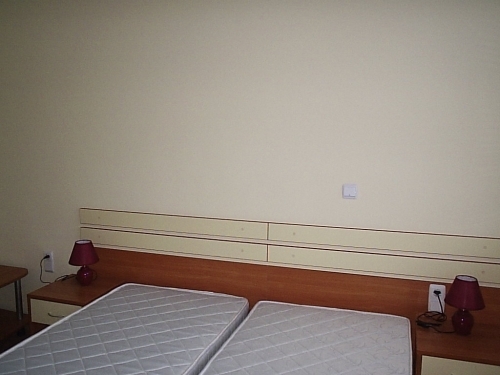 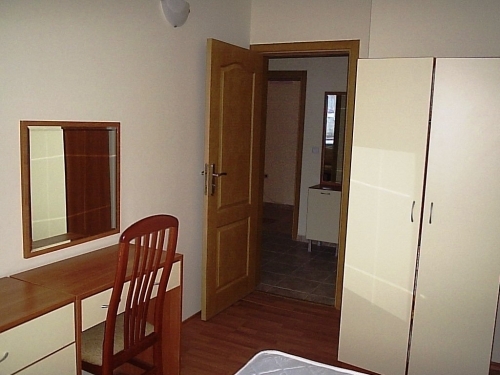 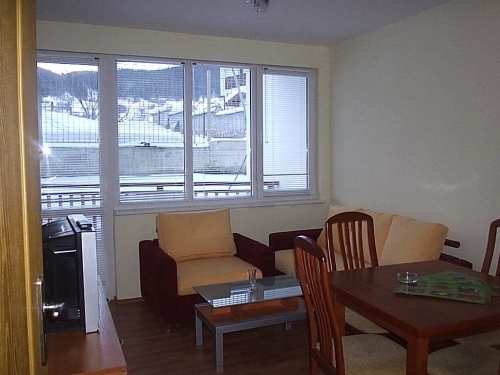 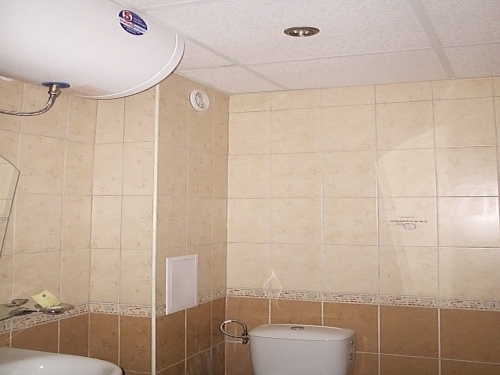 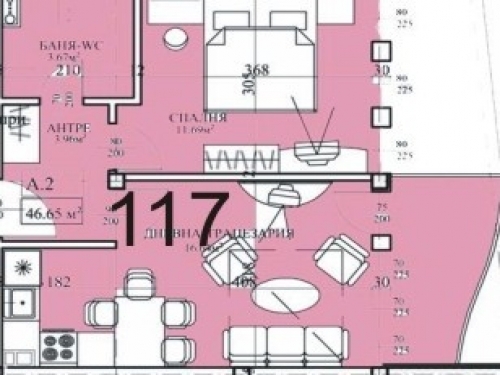 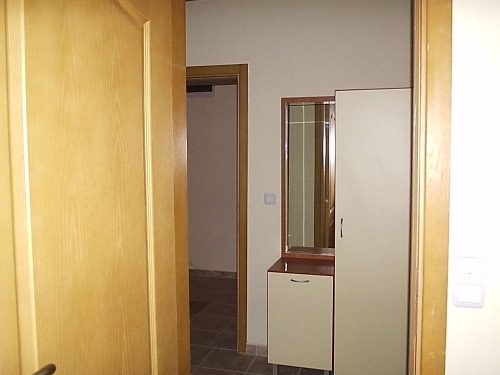 Fully furnished one bedroom apartment in a complex situated at the foot of Rila Mountain. 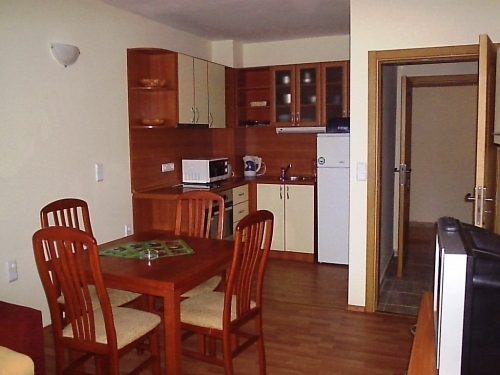 5 km from Borovets Ski Resort. 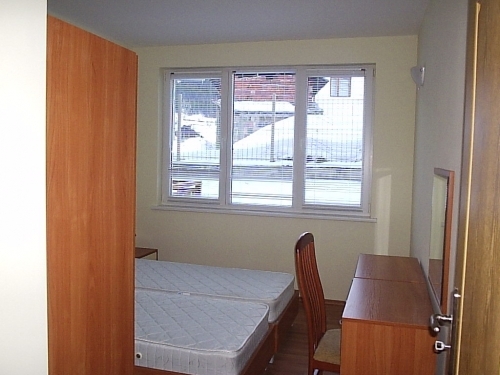 50 min drive to Sofia. 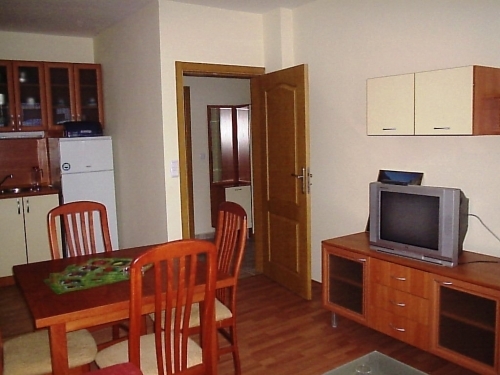 Apartment consists of hall entrance, living room with kitchenette, bathroom with toilet, bedroom and nice balcony with gorgeous view.